" In another 10 years, lacrosse will be what everybody's kids are playing "
"I played everything. I played lacrosse, baseball, hockey, soccer track and field. I was a big believer that you played hockey in the winter and when the season was over, you hung up your skates and you played something else"
The Cranbrook Lacrosse Association is dedicated to provide a youth sports experience for boys and girls that builds character and camaraderie which will last a lifetime. We are committed to teaching the fundamental skills and rules of the game along with good sportsmanship and integrity. The players and coaches are encouraged to uphold these attributes both on and off the floor. Our season is based on tournament play. 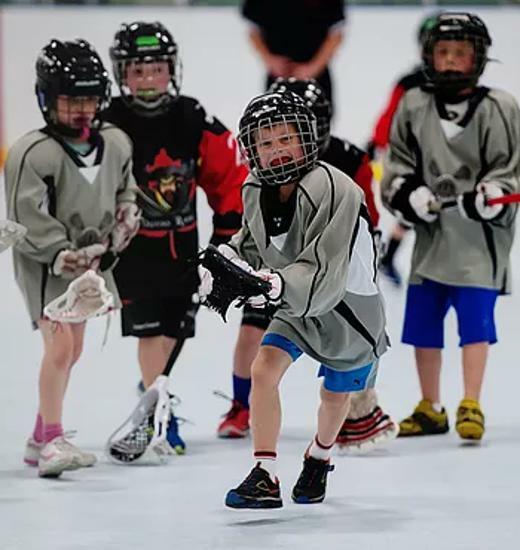 We generally attend 3 tournaments over the course of season as an organiztion -meaning all levels (with the exception of Tyke and mini-Tyke) will attend the same tournaments on the same dates. This is very beneficial to families with more than one child playing.